Citroen has unveiled their new C4 Cactus, its new compact hatchback. The car’s styling is as bold and modern as ever. Influenced by the Citroen ‘Advanced Comfort’ programme, the new C4 Cactus is the first model in Europe to feature the brand’s new suspension system with Progressive Hydraulic Cushions (PHC), which the French carmaker says is like creating a ‘magic carpet ride’ effect. It is also the first vehicle in the world to boast ‘Advanced Comfort’ seats. With its unique personality, Citroen believes that the new C4 Cactus is set to shake up the market in the first quarter of 2018. Following the successful launch of new C3 in 2016, and their SUV offensive in 2017 with the new C3 Aircross and new C5 Aircross, Citroen says that it is continuing the roll-out of its full product offensive and surprising the world once again with its new compact hatchback, the new C4 Cactus. 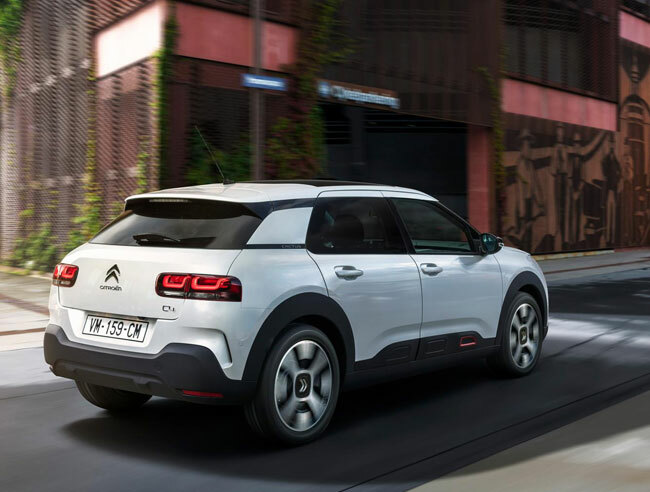 Citroen says that this new model brings a breath of fresh air to the hatchback segment by blending the singular personality of the C4 Cactus with the class-leading comfort of the C4 hatchback. The model’s status has also received a boost through the addition of segment essentials, such as 12 driver assistance systems, three connectivity technologies and a revised engine line-up, with power units now developing up to 130hp. With its modern and distinctive design, Citroen claims that the new C4 Cactus also brings its occupants an all-new experience of well-being. Citroen tells us that it took inspiration from its technological heritage in terms of hydraulic suspension systems, reinterpreted this technical expertise and has now created a solution that is accessible to the greatest number of customers. New C4 Cactus is the first model in Europe to be equipped with the Citroën brand’s new suspension system with Progressive Hydraulic Cushions (PHC), and the first in the world to feature Advanced Comfort seats. Citroen’s new compact hatchback combines the singular personality of the C4 Cactus with the comfort and spaciousness of the C4 hatchback. New C4 Cactus retains all of its originality in the form of its unique design that has been upscaled with new panels, redesigned wings, slimmer and repositioned Airbump panels, plus new 3D-effect LED rear lights. Citroen boasts that it is an ultra-comfortable hatchback that takes automotive well-being into a new dimension: a new standard-setter for comfort, notably through the PHC suspension system, a first in Europe. In addition, the new ‘Advanced Comfort’ seats are a world first, and it also says that the C4 Cactus benefits from significantly enhanced acoustic insulation. The interior design of the new model has enhances cabin space, comfort and well-being. Overall, it certainly looks like bringing a breath of fresh air and originality to the compact hatchback segment.